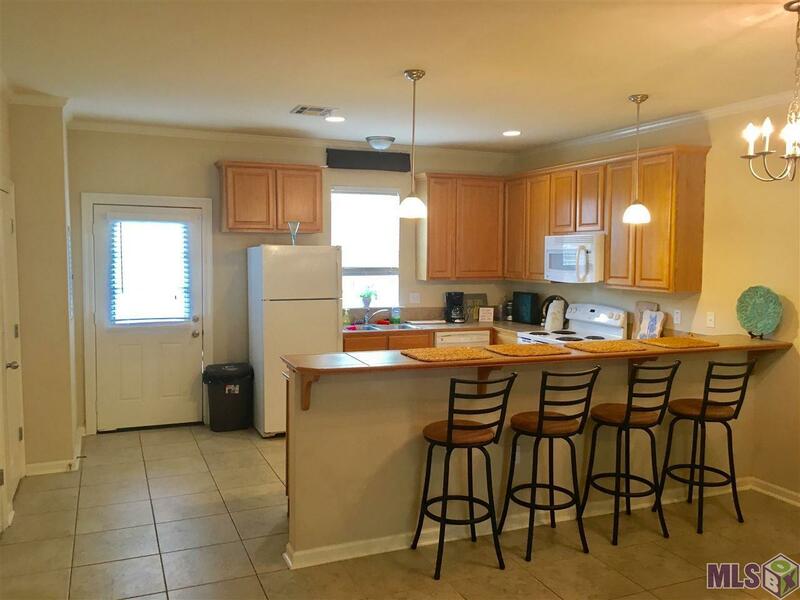 This Gated complex is walking distance to the LSU Bus Route. It is an end unit with two designated parking spots at a newly installed front door and visitor parking is located close by. 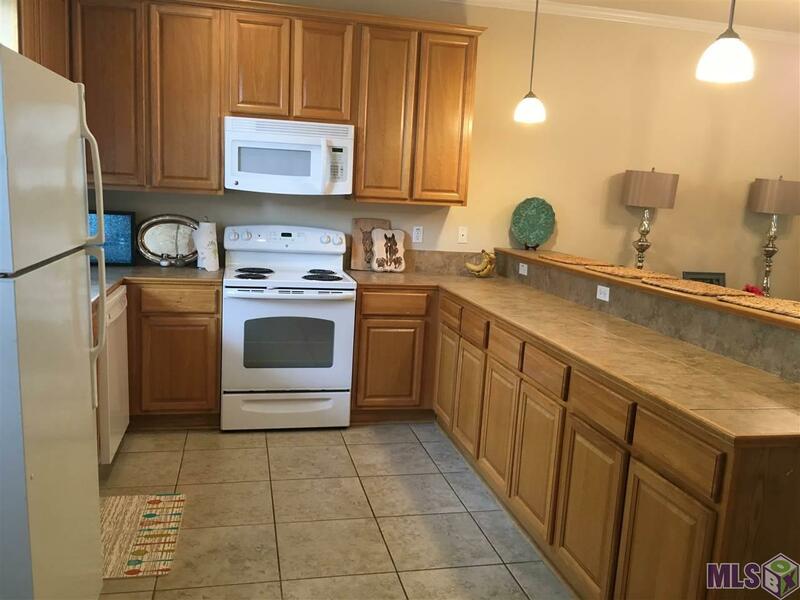 Both bedrooms are on level 2 and have private bathrooms and walk in closets. Kitchen has a NEW MICROWAVE and DISHWASHER. 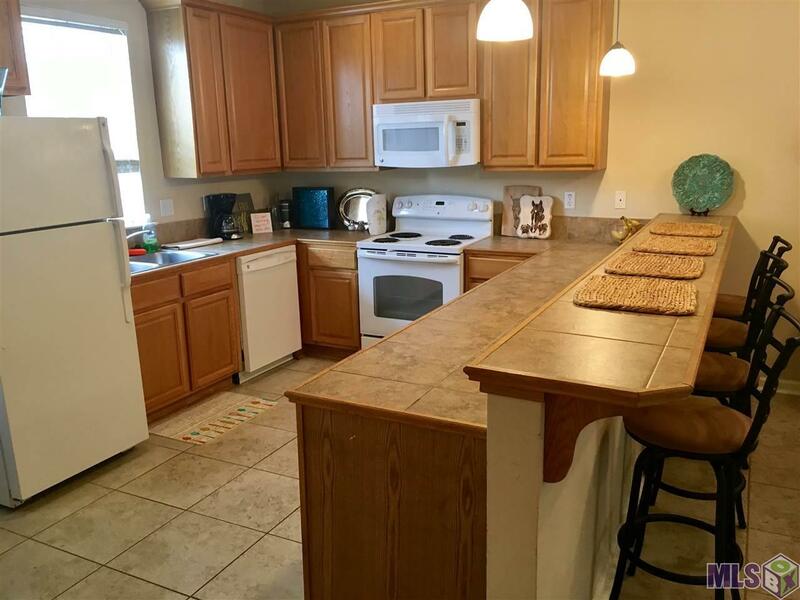 Large kitchen counter/bar has seating for 4. Half Bath downstairs for guests. This condo also has a NEW AIR CONDITIONING UNIT. Refrigerator, washer and dryer will remain. The fenced patio is great for the grill and potted plants/garden. 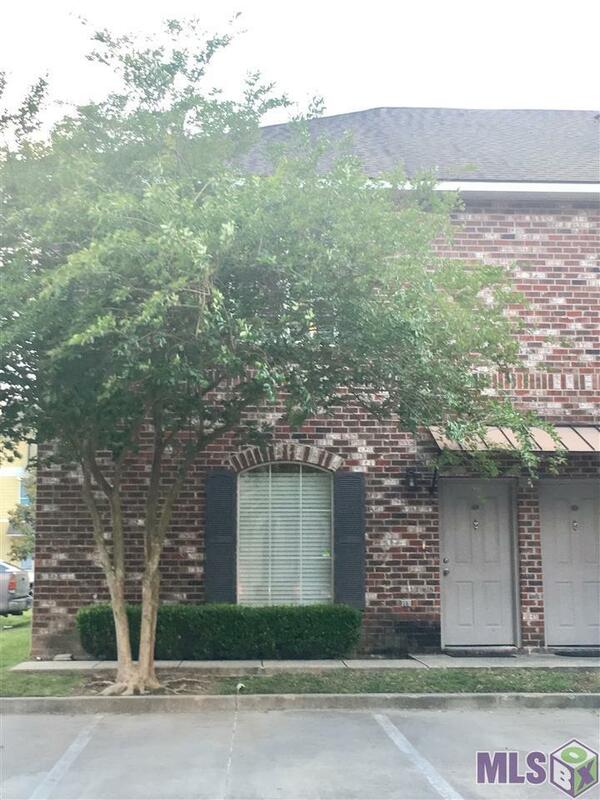 If you are looking for an investment property or a place to call home while in school, this is a great opportunity!